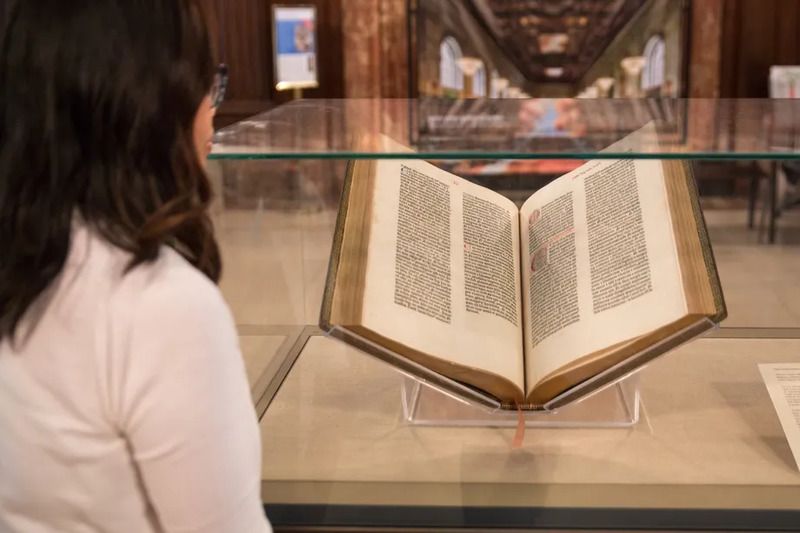 Getting up close with the New York Public Library’s treasures is going to get a lot easier starting 2020. Thanks to a $12 million donation from philanthropist Leonard Polonsky, the NYPL will debut a permanent exhibition in the fall of 2020 that will showcase items like the Declaration of Independence written in Thomas Jefferson’s hand; manuscripts from the likes of Maya Angelou and Jack Kerouac; and original sheet music from Beethovan and Mozart. 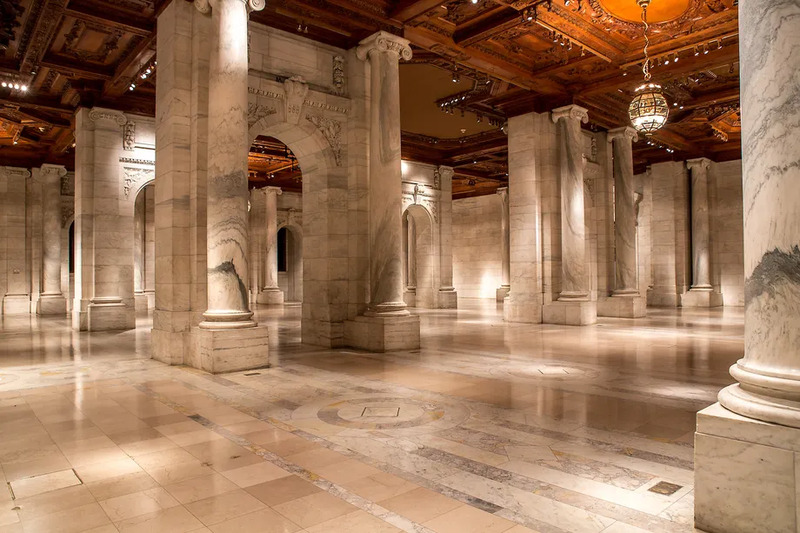 The permanent exhibition, which will continue to rotate its collection of items, will be located within the 6,400-square-foot Gottesman Hall on the main floor of the Stephen A. Schwarzman building at Fifth Avenue and 42nd Street. The exhibition will be free to the public. Manuscript material from Maya Angelou. At present, visitors and scholars who want access to these items can do so at four research libraries across the city: the Schwarzman building, the Library for the Performing Arts, the Schomburg Center for Research in Black Culture, and the Science, Industry and Business Library. 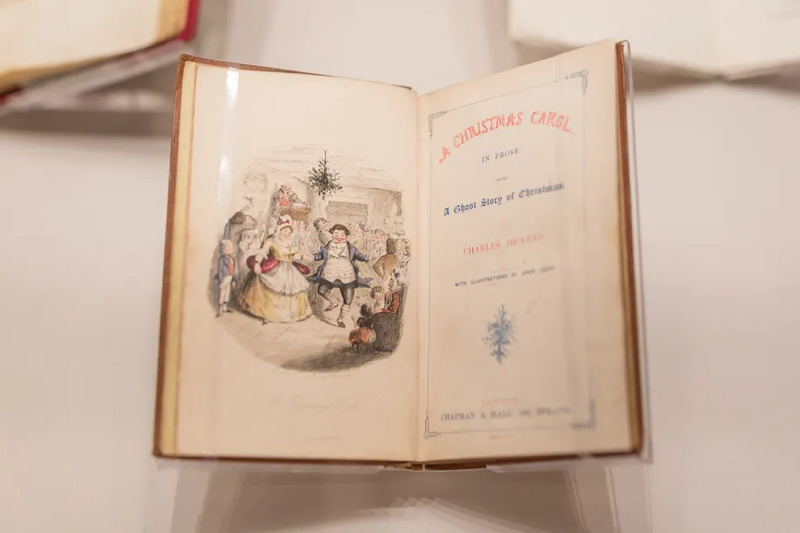 A copy of the book that Charles Dickens used during public readings. In all, the NYPL has over 46 million items in its research collection and showcases them from time to time in temporary exhibitions. Some exhibits to look forward to in the coming months are ones on photographer Anna Atkins, the Stonewall riots, and Walt Whitman. As for the permanent exhibit set to open in the fall of 2020, other items visitors can look forward to seeing include A letter from Christopher Columbus to King Ferdinand documenting his discovery, writings from Lou Reed, and Frank Braun’s pen and ink drawings of The Wizard of Oz. That library is really cool anyway. But couldn't Curbed at least have spelled Beethoven correctly? I mourn the death of copy-editing.